Architects design buildings, but an interior architect designs indoor spaces. Although considered a branch of architecture, interior architecture shares much with interior design. Interior architects must address the attractiveness and function of interiors. Follow these steps to for a career in this field. Assess your strengths. Interior architects tend to be problem solvers with good communication skills. Take art and drafting classes in high school. An understanding of people and personal space is invaluable. If you notice a certain mood prevailing over a room, try to understand why. Look at color, design and furnishings. Research colleges. Entry level interior architect positions require a bachelor’s degree. Interior architect majors may be difficult to find, so look into majors in architecture or interior design. Look for programs accredited by the British Interior Design Association (BIDA). 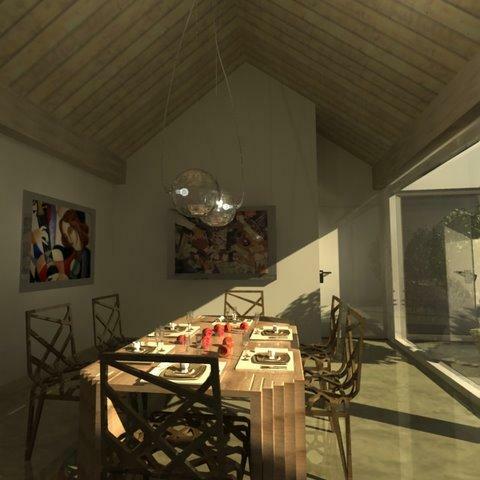 Learn how to design appealing and purposeful indoor spaces also using a 3D rendering. Study interior design and the arts, but also cover the technical aspects of architecture, such as heating and cooling systems. Knowledge of safety standards is important. For example, understanding seismic retrofitting helps you make spaces in old buildings safe from earthquakes. Gain personal experience through interior architecture internships. Internships allow you to put what you’ve learned in the classroom into practice. Internships often lead to first jobs after graduation.